We’ve long been proponents of using Amazon Web Services’ S3 cloud storage platform for hosting video. It’s inexpensive, has the resources to store and deliver as much video as you can create, and it delivers it to your end user with a fast playback experience (especially if you combine it with Amazon’s CloudFront content delivery network which delivers video from servers closest to your viewer from anywhere around the globe). Of course, we’re a bit biased because we develop and market S3 Media Maestro, which is designed to let you store your videos on S3, deliver them in a player within WordPress, and prevent files from being shared. 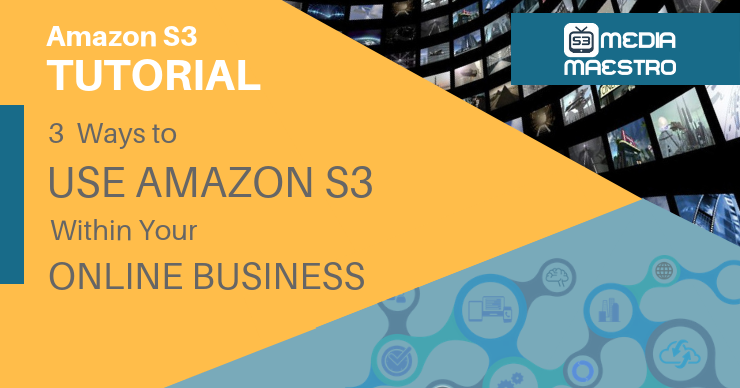 But even before the development of S3 Media Maestro, when we launched our first online course back in 2010, AWS S3 was the solution we chose for hosting our videos. We discussed this above, but if you’re running an online course or membership site with WordPress, it’s a wise decision NOT to host large videos within your WordPress media library. This is especially true for WordPress users who have built their site on inexpensive shared hosting (like the $4 to $7 a month variety of hosting). For example, we’ve worked with over 20,000 online course creators since 2012 and 92% of those courses rely on video to deliver learning. And some of those courses include hours of video content. If those videos were hosted on a shared server with 200 other websites, well, you’re going to get some emails. Now, I’ll be the first to admit that while it costs almost nothing to store a large amount of data within S3, there are many delivery variables which make the monthly pricing difficult to estimate. So we’ve recently published a guide to help you pin down the pricing before you take the leap. As I’ve already mentioned, S3 charges very little to simply store files while it charges primarily for delivering them to your end users. This makes it a solid option for backing up your computer’s hard drive files compared to more expensive options like DropBox. You are backing up your hard drive, aren’t you? That being said, backing up files through the Amazon Web Services’ console itself will drive you mad. Using this method makes the process painfully labor intensive. Fortunately, there are a number of free and paid software packages to keep your files safe on S3 servers with ease. This includes apps such as CloudBerry, Iperius, and Arq. You can find a load of others, but these services will generally let you tie your backups to a number of cloud storage providers, but again, S3 will likely cost you a fraction for simple cloud storage over the big names in the game. Finally, you can also use Amazon S3 to store backups of your WordPress website in the instance that it ever finds its way into the woods. Again…ahem…you are backing up your WordPress site files and database regularly, aren’t you? A resounding “YES!” at the top of your lungs with a fist in the air as if you were at a Tony Robbins talk would be the correct answer! And if you answered “yes” to that question, you’ve made a smart decision in protecting your online business or course. While many hosting providers run automated backups at specific intervals, do you know how reliable they are, how frequent they are, where they’re stored, or how quickly you can get them back? Once you’ve created and configured an Amazon Web Services account and the S3 storage platform, there are a number of options for backing up your WordPress website directly to S3. 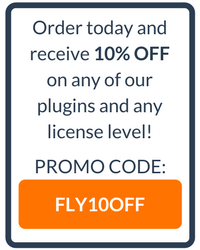 There are few free plugins in the WordPress plugin repository, with the most notable being BackWPup (with 600,000+ installs) and UpdraftPlus (with over 2,000,000 installs). There are a number of premium/paid options also which will allow you to backup your WordPress site and data to S3, with my favorite being BackupBuddy (which I’ve started installing on all of my websites since 2011). However, there others out there which are very popular if you’re willing to spend some money on a backup solution, like BlogVault and VaultPress (brought to you by Automattic, the primary team of developers behind WordPress). Have any other handy ways you’ve used Amazon S3 with your WordPress website? Let us know in the comments below!